London's Southbank Centre is the top UK music venue of the past 12 months, according to a survey carried out by royalty collectors PRS for Music. 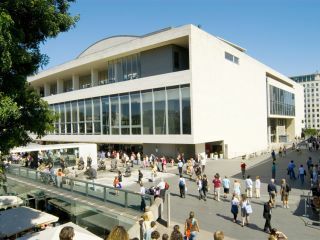 Named 'top' because its four stages (the Royal Festival Hall, Queen Elizabeth Hall, Purcell Room and the Hayward Gallery) held a whopping 634 musical events in front of over a million people. In other words, it's the busiest venue.